A honey that gives you the spins -- so why we aren't stirring teaspoons of this potent gloop into our granola for a pleasant morning high? Turkey's hallucinogenic 'Mad Honey' is produced when bees pollinate rhododendron flowers in the remote mountainside towns of the Black Sea region. When over-imbibed, however, the honey can cause low blood pressure and irregularities in the heartbeat that bring on nausea, numbness, blurred vision, fainting, potent hallucinations, seizures, and even death, in rare cases. 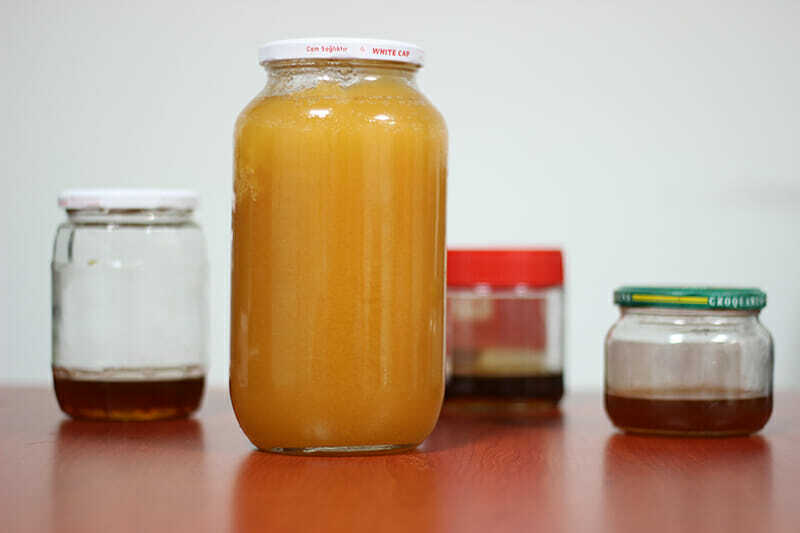 Nowadays, cases of mad honey poisoning crop up every few years – oftentimes in travelers who have visited Turkey. As the adventurous foodie might well ask, what’s the story behind this potent gloop, and why aren’t we all stirring teaspoons of it into our granola for a pleasant high? Rhododendron flowers occur all over the world, and yet mad honey is most common in the region fringing the Black Sea — the biggest honey-producing region in Turkey. “There are more than 700 different species [of rhododendron] in the world, but according to our knowledge just two or three include grayanotoxin in their nectars,” says SÁ¼leyman Turedi, a doctor at the Karadeniz Technical University School of Medicine in Trabzon, Turkey, who studies deli bal‘s effects and has witnessed more than 200 cases of mad honey poisoning. In Turkey, not only do the poisonous rhododendrons abound, but the humid, mountainous slopes around the Black Sea provide the perfect habitat for these flowers to grow in monocrop-like swaths. When bees make honey in these fields, no other nectars get mixed in — and the result is deli bal, potent and pure. The honey is taken in small amounts, sometimes boiled in milk, and consumed typically just before breakfast, he adds — not slathered on toast or stirred generously into tea the way normal honey would be. Its value to customers has given beekeepers an incentive to keep visiting those rhododendron fields and producing it alongside their normal honey products. The honey is taken in small amounts, sometimes boiled in milk, and consumed typically just before breakfast. Indeed, in 67 B.C. Roman soldiers invaded the Black Sea region under General Pompey’s command, and those loyal to the reigning King Mithridates secretly lined the Romans’ path with enticing chunks of mad honeycomb. The unwitting army ate these with gusto, as the story goes. Driven into an intoxicated stupor by the hallucinogenic honey, many of the flailing soldiers became easy prey, and were slain. This rich history, along with Turkey’s 18th Century trading tradition, seems to account for mad honey’s persistence in the present day — and the fact that it is purposefully harvested there. And yet, finding it still amounts to something of a treasure hunt. 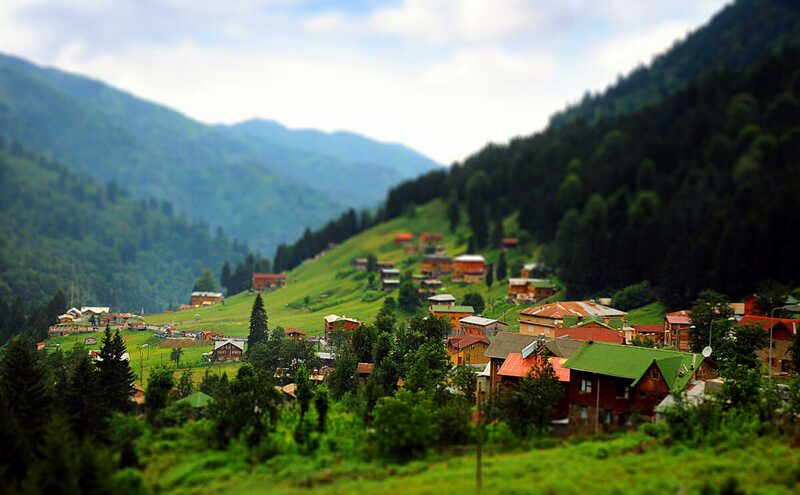 In the province of Trabzon — which contains the city of the same name — mad honey is particularly entrenched: it’s where the Romans met their end thanks to the toxic honeycomb all those centuries ago. Yet, “We had to go searching for it quite a bit,” Morris says of his own quest to find deli bal. Samples of mad honey. / Courtesy Dr. Suleyman Turedi. The large, frothy jar of deli bal itself — which the shopkeeper called rose-of-the-forest honey (orman komar bali) — was surreptitiously extracted from beneath the counter, amid warnings not to overconsume, Morris recalls. The honey he tried went to his head after just a teaspoonful — all he dared consume after learning about deli bal‘s legendary strength. “It did make me feel quite light-headed,” he says. Turedi explains that Turks in the region have the know-how to consume it responsibly. “Local people are able to distinguish mad honey from other honeys. It causes a sharp burning sensation in the throat and thus it’s also referred to as bitter honey,” he says. ‘Deli bal’ retains its numbing, head-spinning traits because it is untreated, unprocessed, and essentially pure. Despite cautions about safety, the honey seemed only to be self-regulated when he was there, Morris says. Indeed, it’s legal in Turkey, says Turedi. “You can easily buy and sell it.” Vaughn Bryant, a pollen expert at the Texas A&M University, who studies pollen traces in honey, confirms that mad honey is easy enough to purchase from abroad via the Internet, too. To dodge the $166 per pound online price tag, and to make sure he was getting the right stuff, Bryant got his deli bal from a Turkish friend who acquired the honey from hives in the middle of rhododendron fields. “One colleague did put a drop or two of it on his tongue and said that it had a numbing effect,” Bryant says. Now, he wants to chemically analyze the honey to learn more. What is known is that deli bal retains its numbing, head-spinning traits because it is untreated, unprocessed, and essentially pure. Bearing this in mind, how should the eager, organic-obsessed foodie take it on? During his Turkish travels, Morris joked with an official from the tourist board that deli bal had an untapped market in adventurous eaters. “It’s got this hedonistic side to it as well,” he says – something the West certainly once appreciated. But that tapered off, most likely with the advent of cheaper alcohol and the import of drugs like cocaine in the 1800s, Bryant reasons. For now, the dangerously sweet syrup will retain its old-world mystery, tucked away in shops that are difficult to find.